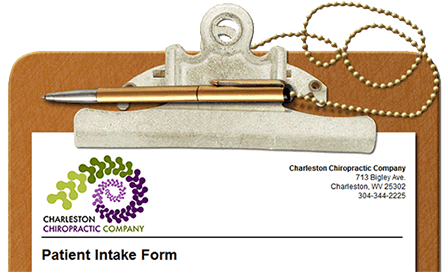 The Charleston Chiropractic Company PLLC website is provided for informational purposes only and is not intended to be a substitute for professional health advice, diagnosis, or treatment. Step #1 - Move your mouse over the body image to the left and click on an area of the body where you are feeling pain or discomfort. Step #2 - Check the specific body area(s) from Tab #1. This will display a list of possible symptoms. Step #3 - Check the selected symptom(s) from Tab #2. This will display a list of possible conditions. 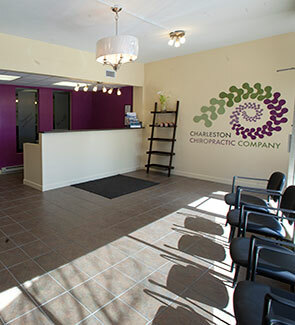 Welcome to the Charleston Chiropractic Company! Please fill out your Patient Intake Form online ahead of your visit. Please note that these are just a few of the (major) insurance providers we service. Please contact our office to ensure that we service your insurance provider. We will accept all personal injury and workers' comp claims. Didn't see your insurance company listed? Please inquire about your insurance information, and we will verify within 48 hours. Please call if problems arise verifying provider status. 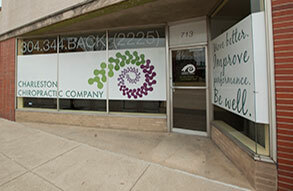 We will verify all patients' benefits prior to their first visit and explain all charges. We are here to help answer any questions you may have. 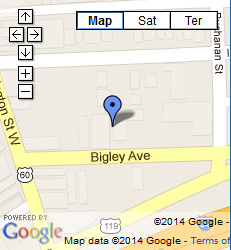 If you have any questions, please contact us at 304-344-BACK (2225). Do you accept personal inury and worker's comp claims? Yes! We will accept all personal injury and workers' comp claims. Lesia Angel is a Licensed Massage Therapist and 2008 graduate of the Mountain State School of Massage in Charleston, WV. Interest and certifications include, Mind Body Connection, Cranial Sacral Balancing and Eastern Theory. She believes in facilitating well-being through massage, balanced nutrition, active lifestyle and centered thinking and feels massage therapy is both an art and a science. Lesia is especially interested in treating migraine head ache and neck issues, but performs a wide range of modalities, and will work with each client according to individual needs. Angela is responsible for making the office run smoothly and she coordinates with insurance providers and manages our office information and technology.